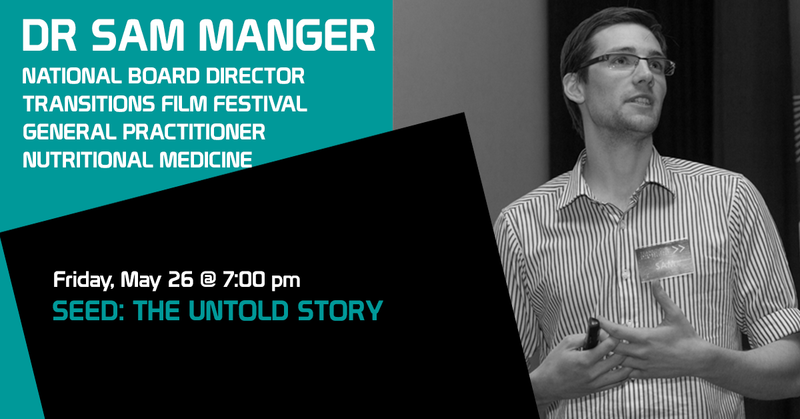 Dr Sam Manger is a Director on the National Board of the Transitions Film Festival, a National Board Member of the Australasian Society of Lifestyle Medicine, a rural General Practitioner, and a student of permaculture, regenerative agriculture and bush survival. He received his Bachelor of Medicine, Bachelor of Surgery (MBBS) and his undergraduate Bachelor of Science (BSc) from the University of Queensland. His passion for health and neuroscience has evolved into reflecting on how to change individual and social behaviour to lead to a more healthy, sustainable and ethical culture. The TFF was founded in 2012 and has presented hundreds of positive and solutions focussed films, forums and events around Australia on the transition to a sustainable and ethical culture.